The stand-in: Before the days of unrestrained free agency and contracts that surpass the gross domestic products of small countries, Eddie Murray was making a little over $900,000 on a struggling team. He was a perennial all-star and a jovial guy in the clubhouse, so it was understandable he felt he deserved a bigger contract. 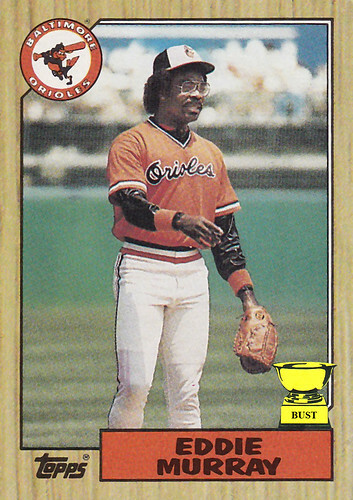 But the Orioles brass disagreed, and a chasm grew between the spectacled superstar and the flailing franchise. Murray told team leaders he wouldn't play; team leaders said they wouldn't pay. But the dispute went on behind closed doors and outside the media. When Murray went to the Bahamas instead of spring training, the Orioles did the only sensible thing: They commissioned an artist to create a lifelike wax sculpture of Murray, seen above, which the Orioles played at first base and batted fifth in the order. This facade went on for weeks, until the Florida sun melted the doppelganger, leaving only a pile of fake hair, a gigantic pair of glasses and arms made of trash bags. Still, the wax figurine managed to bat .310 with 8 homers and 43 RBI, and only commit 3 errors in 66 games before it melted. Lucky for Eddie, the numbers his paraffin likeness put up count towards his HOF totals, as nobody could prove that it wasn't a substitute Eddie during that time.